CHILLICOTHE (August 29, 2018) – This morning at approximately 0930, Adena Regional Medical Center (ARMC) was notified it would be receiving numerous unresponsive patients from the Ross County Correctional Institute (RCI). At this time, ARMC Emergency Department physicians and staff are treating and assessing 11-15 patients. With the activity of the situation, we expect to have condition information available later this morning. The Ohio Department of Corrections/Ohio Highway Patrol and Ross County Sheriff’s Office are investigating the cause of the incident. Family members of patients who were transported to ARMC should go to the hospital’s North entrance and identify themselves as RCI family and they will be taken to a waiting area. Media planning to come to ARMC should report to Adena’s PACCAR Medical Education Center at 447 Hospital Road, Chillicothe. Further updates will be provided as details become available. 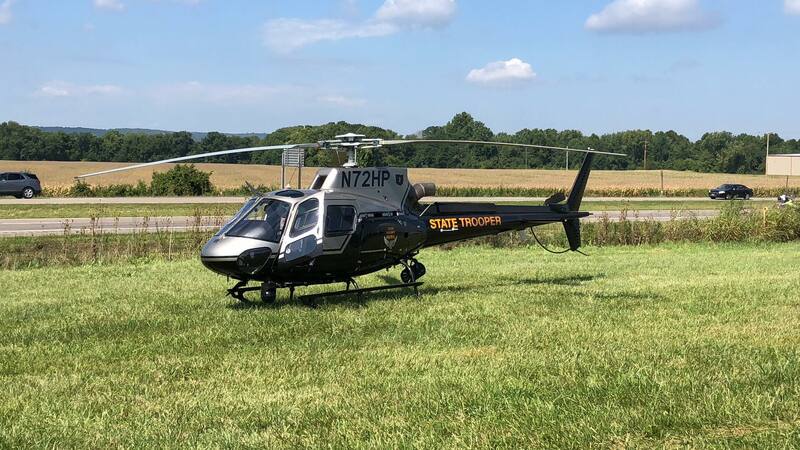 CHILLICOTHE – The Ohio State Highway Patrol is currently investigating a substance exposure at the Ross Correctional Institution (RCI) in Chillicothe. The facility is secure with no safety threat to the public. Today at approximately 9:10 a.m., the Ross Correctional Institution reported an inmate with possible signs of a drug overdose. He was administered Narcan and transported to the hospital. The Ohio State Highway Patrol and local emergency medical services were called and responded to the prison. A total of 29 individuals were identified as potentially being exposed to the unidentified substance. A total of 28 individuals (23 correction officers, four nurses, and one inmate) were treated on scene and later transported to the hospital for evaluation. One inmate was treated on scene and was not transported. All RCI staff are stable and some have already been discharged from the hospital. Approximately 31 inmates who were not affected were removed from the cellblock and are located in other secure areas of the facility. A hazardous material unit is on scene and will be cleaning the affected areas of the institution. Samples of the substance have been collected so it can be tested and identified. As a precautionary measure, additional doses of Narcan have been supplied to the hospital. The situation is stabilized with no additional reports of exposure. The situation remains under investigation by the Patrol at this time. CHILLICOTHE (August 29, 2018) – Today at approximately 0930, Adena Regional Medical Center (ARMC) began receiving patients from the Ross County Correctional Institute (RCI) who had been exposed to an unknown substance. Over the course of approximately two hours, 24 patients from RCI were treated for suspected opioid exposure. 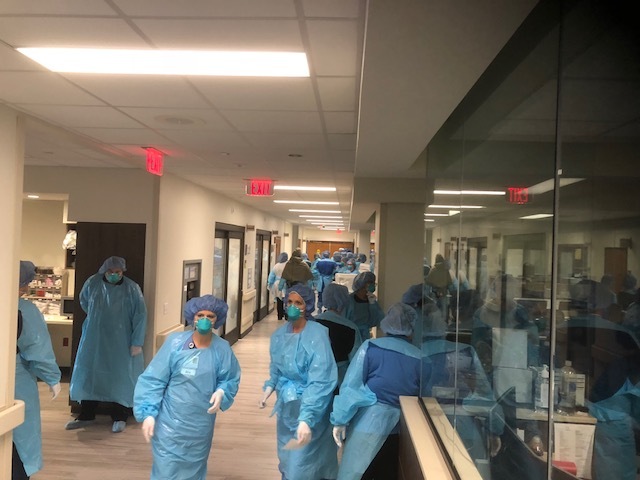 The majority of the patients treated within ARMC’s Emergency Department were treated and released following decontamination, assessment and treatment. Those showing symptoms were treated according to the symptoms with which they presented, including being treated with doses of Narcan. One patient of the 24 was admitted for treatment and is in stable condition. A second patient is undergoing observation through the evening. Prior to the arrival of the first patient, ARMC issued a Code Yellow for all available clinical staff to respond to the Emergency Department to assist with incoming patients. ARMC staff routinely participates in crisis training, including large-scale crisis scenarios with local EMS, fire and law enforcement. 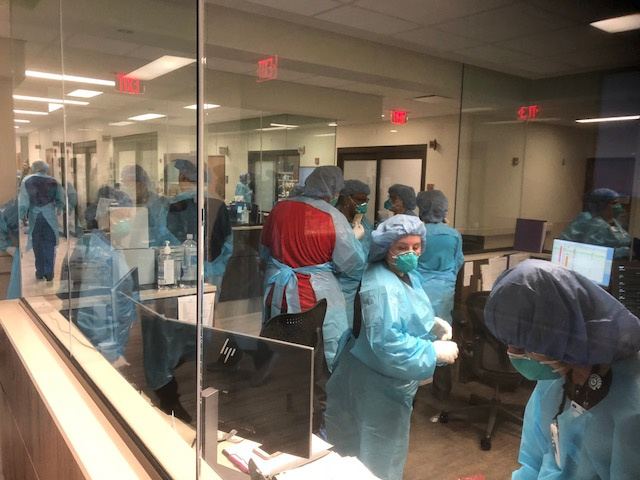 The Emergency Department was closed to additional patients until approximately 6 p.m. A professional decontamination firm will arrive to clean and decontaminate the five rooms and one trauma bay where the affected patients had been treated. In addition to the outstanding work by Adena staff, local EMS and law enforcement, Adena wants to thank our community partners at Kenworth and Glatfelter who were extremely supportive in sending their Hazmat teams and equipment to assist with staff decontamination. State and local law enforcement, health and EPA officials are working to determine the cause of the incident, and to identify the chemical involved. The use of the word “casualties” implies that these people died. The event was called in as a mass casualty incident. Casualty does not equivocate fatality, although many assume (falsely) that is the case. Mass casualty event is defined as any crisis that overwhelms emergency services staff/facility. Perhaps sharing the definition would help prevent further misunderstanding of the phrase. Surely just telling someone they are wrong in their assumption is of no help in that.